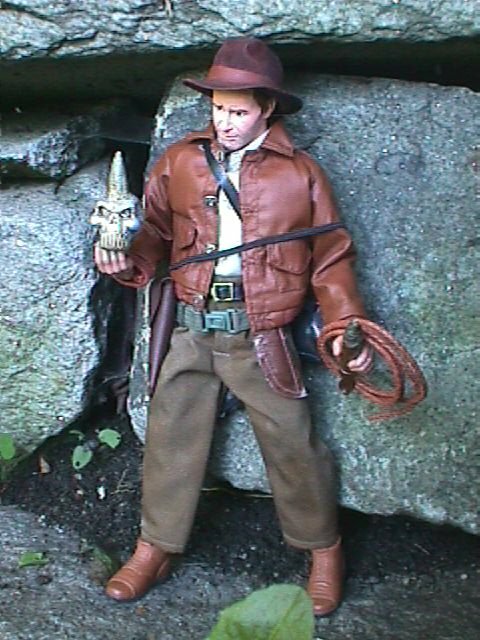 Famed archeologist Henry Jones, Jr.
Our photographer surprised Doctor Jones, and paid the price. 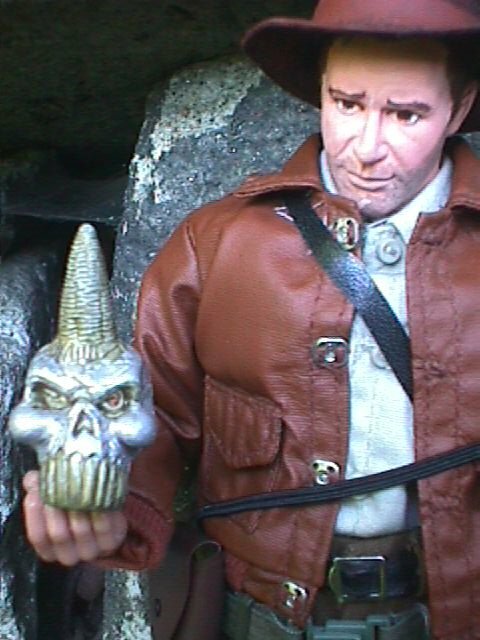 Doctor Jones seems to have aquired a prize in his digging. 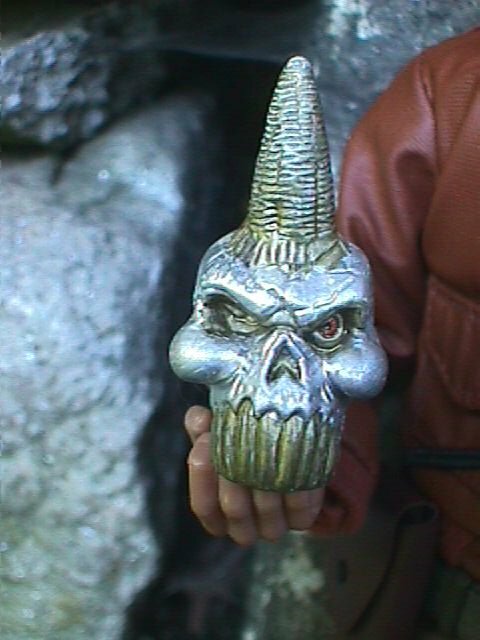 It is said that natives here worship this strange, one-horned skull. From overzealous natives or gun-wielding competitors. The head is a resin-cast custom head I bought online from here. The body is an "Ultimate Soldier." 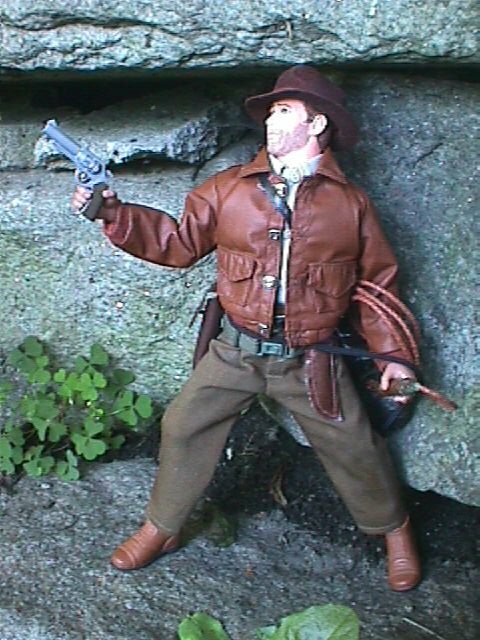 Gunbelt and boots from the same Ultimate Soldier, with a holster from the Ultimate Soldier "Operation Market Garden" figure, a pistol from the 12" "Rick McConnell" from "The Mummy" and scabbarded knife from a "Soldier of the World." 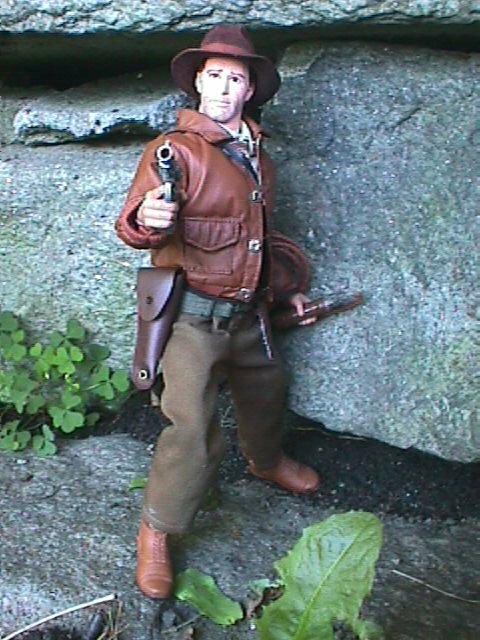 The pants and belt are from the Universal 12" Wolf-Man. 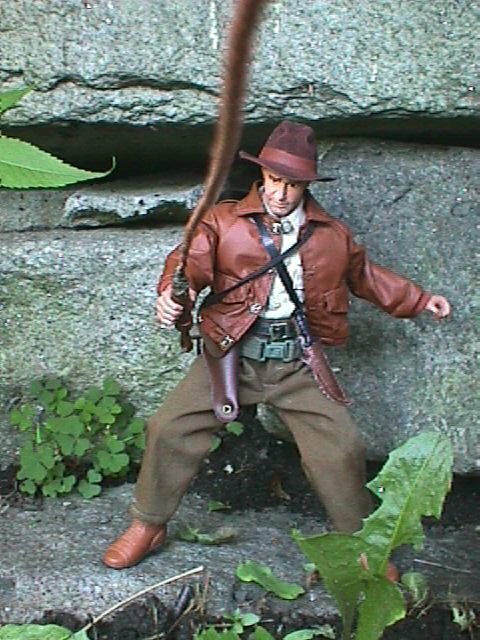 Shirt and Jacket from Bob Hope, and the whip is a length of braided lether thong, stuck in the end of a length of the handle from the Famous Covers "Mjolnir," with some Super-Elasticlay giving it the customary taper. 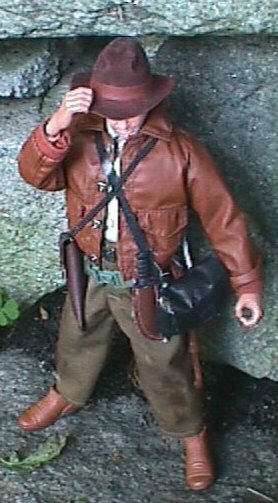 His canteen is from a "Soldiers of the World" civil war set, as is his satchel.